Diclofenac encapsulated in a unique and patented theurapeutic system, which ensures effective absorption into the skin. Unique lotion formulation that allows for easy application. Leaves no sticky residue on the skin. Apply 3 to 4 times per day on affected area. 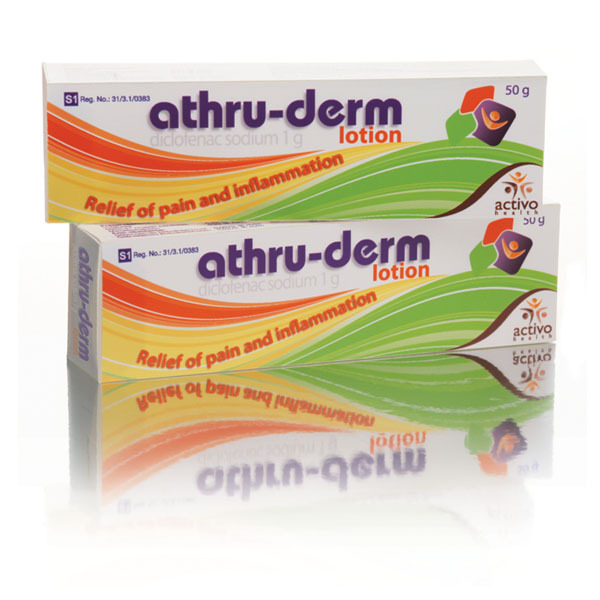 Athru-Derm is marketed in South Africa by Activo Health.